who was entered for the firtst time in junior class, obtained the championship, became BOB and later on BIG1. Not bad for a dog of 12 months old. Also our miniature smooth female "Oléandre v.d. Stoofhoeve"
in juniorclass under judge Doedijns. 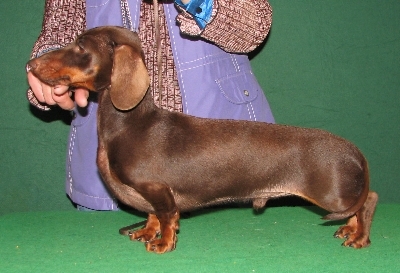 Angelique picked up the chocolat kaninchen dachshund smooth "Sunlux Angel Hearthbreaker of Pinedax"
On 18.15 hour our third son Sven has been born. 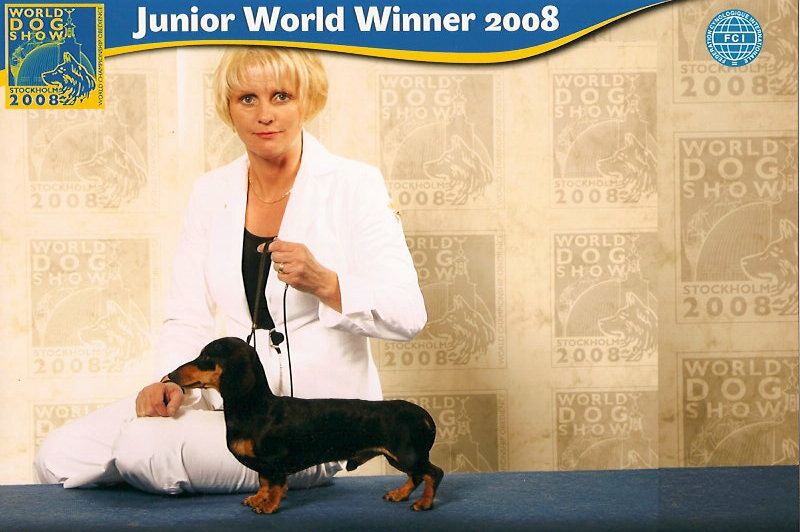 During this show, 2 of our dogs obtained the title World Winner 2008 en 2 the title Junior World Winner 2008. There were 704 teckels entered en we obtained the titles under 3 different juges. 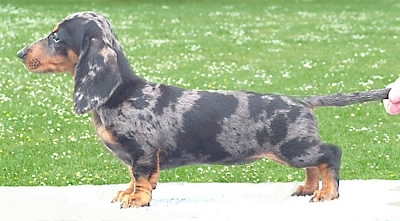 Kaninchen Dachshund Smooth, Multi Ch. Trésor v.d. 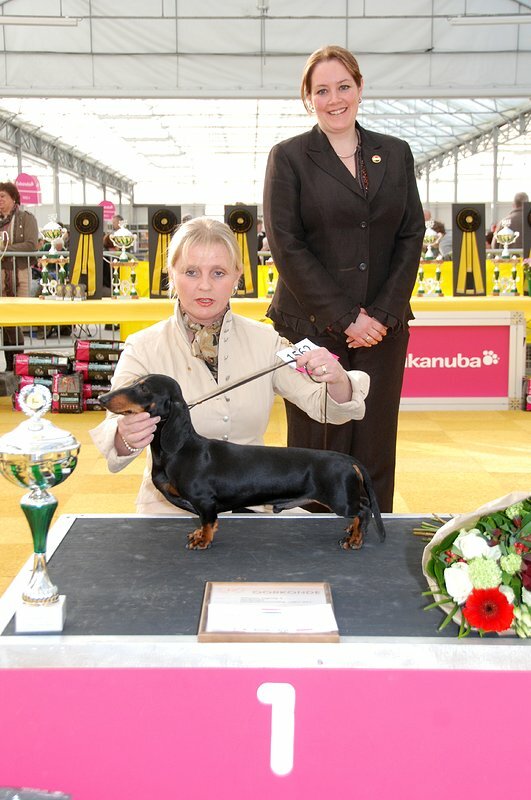 Stoofhoeve, Worldwinner 2005, 2006, 2007 and now also 2008.
under which we entered for the first time our dogs. 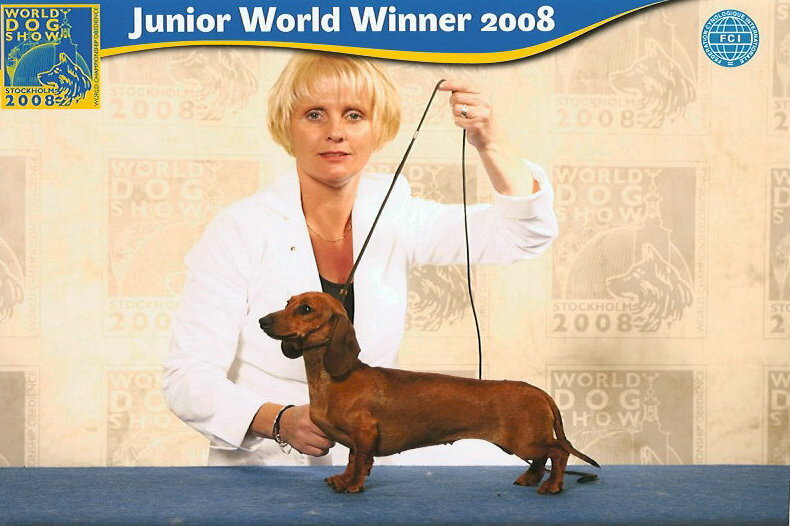 this red male is "Linus vom Dinkelgrund" and the mother is "Juffertje in het Groen du Chapeau". 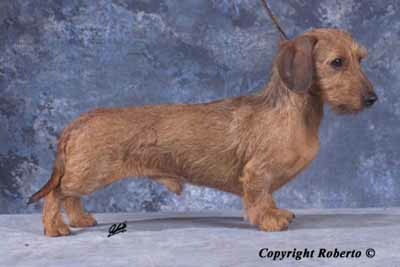 miniature smooth were from our breeding. From this date we will try to renew our site. Miniature Smooth Female "Kamille v.d. Stoofhoeve" have been added. 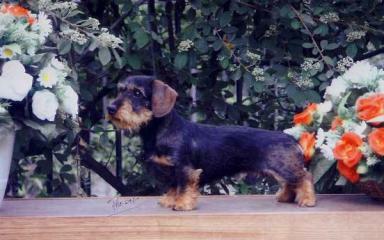 JWW´07, Mexican Ch., Americas and Carib Ch., Americas and Carib Junior Ch. "Kamasutra v.d. Stoofhoeve" went to Italy in return. Ch. Vasco da Gama of Assini Boine obtained BOB en became Best in Group. Miniature Smooth female "Courtisane v.d. 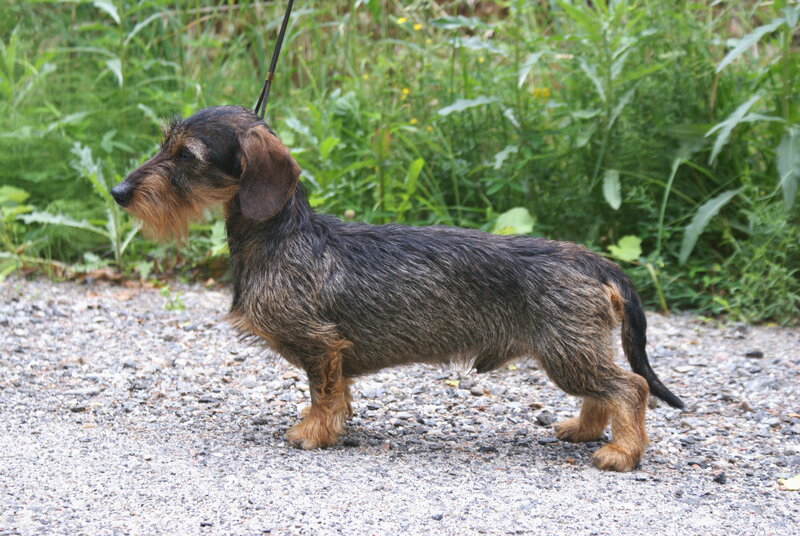 Stoofhoeve"
Miniature Smooth male "Questionmark v.d. Stoofhoeve"
Kaninchen Smooth male "Sulaatik's Juventus"